In the past year I've found all the guys in our band. 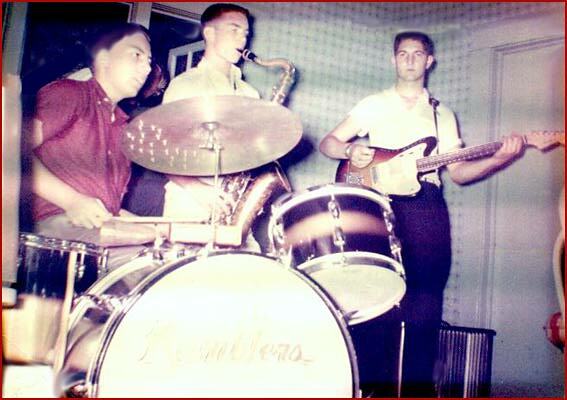 The Ramblers existed from late 1958 to 1960 playing gigs at the Helena teen club and High School functions. Jimmy Evans was awful nice to us when he was home between trips to Canada with the Hawks sitting in with us a couple of times. 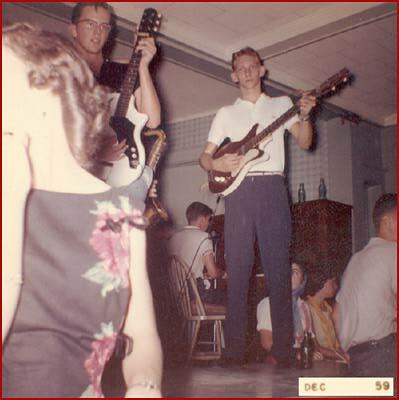 Gene Scaife was the sterling fellow that got us the TV and Sun Studio gig. Mack Self was being helpful by ushering us along and keeping us out of trouble and on schedule. 1959 was the right time and place for us. The TV appearance and the Sun session happened in the spring of 1959 on the same day. Mack hustled us up to Memphis to the WMCT ch5 "Big Beat" Dance Party show. We set up behind a curtian then performed for the Southside High School Dancers. We did three or four songs. The MC was Bob Anthony and a blonde with nice legs. After the TV show we went to the Sun Studio on Union Avenue. Scotty Moore was the engineer. While we sat up our equipment he recorded Mack singing a tune (I think it was "My Jean"). We performed all the songs we knew for Scotty including two originals written by Billy Lafferty. Scotty was real nice also. He called in Ace Cannon and Billy Lee Riley to fill in and make us sound a little better. Jamming with them is something we all wish we could remember better. Sam Phillips and another sportcoat showed up late. They were cordial but only offered to "buy" one of Billy's original songs. We retreated to the bathroom to reconnoiter. Billy wasn't sure what "buying" a song meant but we all agreed that if Sun Records didn't want to make us rich and famous they could lump it. We shook hands with everybody and left. My father was transferred so I split with the Ramblers at Christmas. 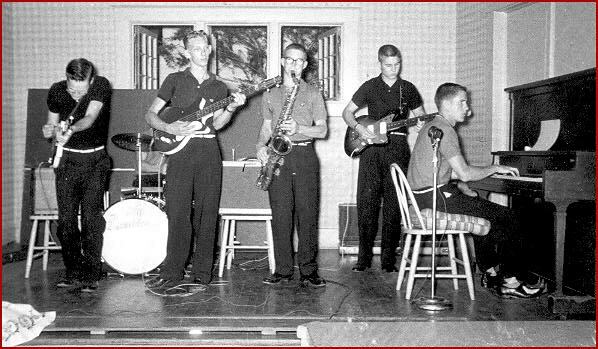 In the spring of 1960 the band made another recording a the HI studios where they met Willy Willis and Charlie Feathers. There are eight existing photos of the Ramblers. ducked and Mike is standing in front of Jerry. Sam and Mike with Billy L. in the background. Billy Lafferty is gone. Cancer took him in 1989. I'm sorry but we don't have a better picture of him.